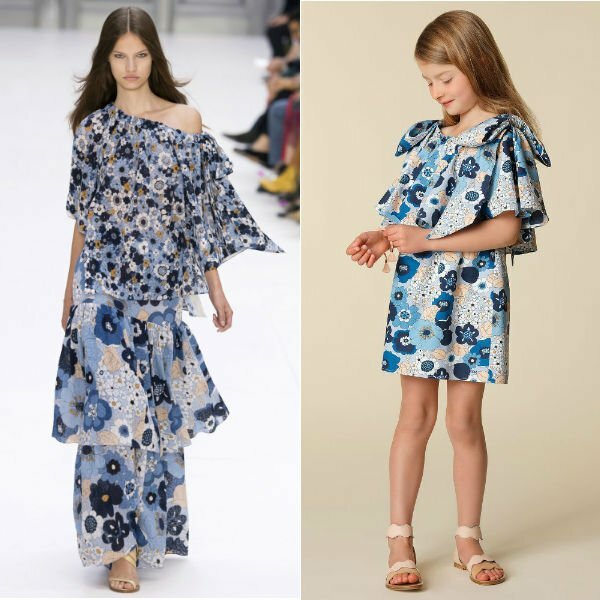 Love this CHLOÉ Girls Mini Me Blue Floral Dress for Spring Summer 2018. Delightfully pretty mini me look inspired by the Chloe Women's Collection. Complete the look with a pair of CHLOÉ Girls Pink Leather Sandals. Perfect Special Occasion Summer Party dress for a little princess at the beach or on vacation.